It's the end of another working week so that means it's Field of view day. That means you get this dose of VR news, links and recommendations from the Wareable team. It's been a huge week in virtual reality, with Google detailing Daydream, a new Android N-powered VR platform at I/O 2016 and there was plenty of VR action at the Cannes Film Festival too. Legendary movie director Steven Spielberg is terrified of VR. Terrified. He thinks that viewers are too dumb to be able to look at the right things during VR films. Or something like that. Speaking at Cannes 2016 he said: "I think we're moving into a dangerous medium with virtual reality. The only reason I say it is dangerous is because it gives the viewer a lot of latitude not to take direction from the storytellers but make their own choices of where to look." Apparently there has been "record orders" for the Samsung Galaxy S7 and S7 Edge. To celebrate Sammy is offering cut price Gear VR headsets for European orderers and giving them free access to exclusive games and experiences from the Oculus Store. IMAX was named as one of the partners for Google Daydream earlier this week (it's working with Google on a VR camera) and now it's been revealed that the cinema giant will also create "premium VR" experiences for Starbreeze's StarVR headset which is being developed with Acer. Richard Gelfond, IMAX CEO, said: "Just as IMAX provides the best cinematic experience, Starbreeze is a pioneer in the burgeoning VR market and its headsets will deliver a wider, 'IMAX-like' field of view to allow consumers to see, feel, move and play in new worlds in a powerfully immersive and realistic way." 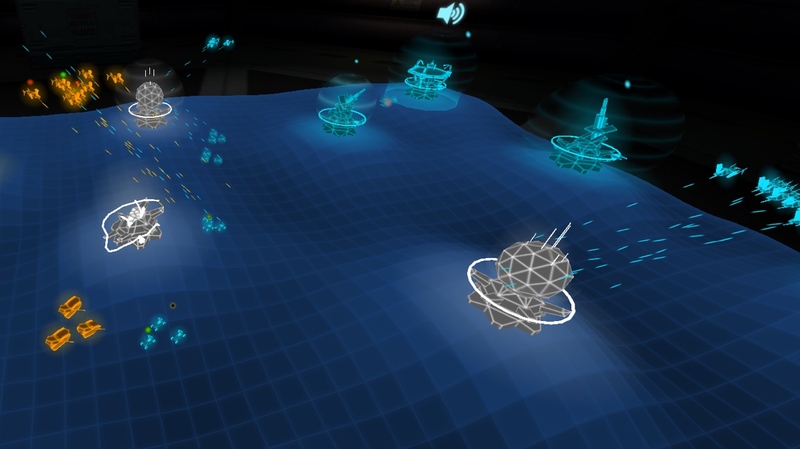 The demo for this VR Real-Time Strategy game was first shown off at the end of last year. But we now have a launch date for the full-blown version - its landing on 31 May for Gear VR (with Rift and Vive versions incoming). "Inside a futuristic command center, a holographic display lets you see beyond the fog of war. Build swarms of gunships, tanks, bombers, and other units, and use your hi-tech view of the battlefield to strategically outmaneuver the enemy!" We can't embed this little beauty but, if you click right here, you can see Bill Gates' first VR film. It's a review of the book Seveneves, which the Microsoft co-founder describes as "a thought-provoking and thoroughly enjoyable book." Gates promises its the first of many VR films he'll be posting to the Gates Network. Imagine The Hunger Games, Call of Duty and Running Man chucked together and you've imagined Islands of Nye currently being developed by Define Human Studios. Looking for funding on Kickstarter (and almost there with plenty of time to spare) the games' creators say that its 100 player FPS has VR ambitions and will hit Steam later this year.